Bodog Poker makes it easy to claim and earn your poker bonuses. There are no bonus codes to enter. Instead simply make your deposit and start accumulating points towards your free bonus payout! For certain other promotions, you might have to opt in via Bodog’s promotions web page. New players at Bodog Poker can get a 100% bonus up to a max of $1,000! The way it works is slightly different than at most popular poker sites. 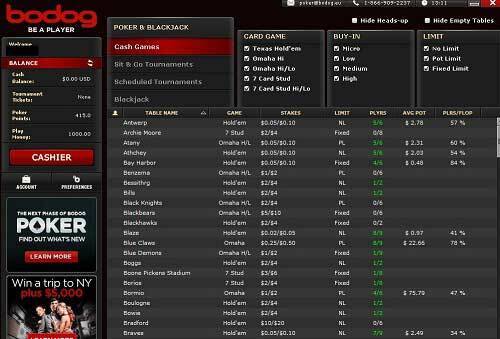 Instead of fussing about with real money and bonus balances, Bodog will simply issue cash to your account as you reach certain Poker Points totals. All your play within the first 60 days after your deposit will count towards earning your bonus. The maximum amount you can receive is based upon all the deposits you make on the same day that you make your first deposit. For instance, if you deposit $250 and then deposit another $300 on the same day, your bonus will be capped at $550 ($250 + $300). Your bonus will be released according to the following schedule. Let’s get down to brass tacks of earning the bonus. To receive the maximum $1,000 bonus amount, you need to earn 10,000 points. In tournaments, this corresponds to raking $3,334, for a cashback rate of 30%. Due to the variable nature of point accumulation at the cash tables, your cashback rate will not be constant in ring games and will depend much upon your style of play and the particular tables you elect to sit at. You can use the numbers displayed on the right side of this page to get an idea of how quickly your bonus will be earned at different types of games, but be aware that these numbers are only a guide and may not be entirely accurate. Try to achieve the highest possible tier in the bonus payouts structure within 60 days of making your deposit. After 60 days have elapsed, any further points accumulation will not release any more bonus money. 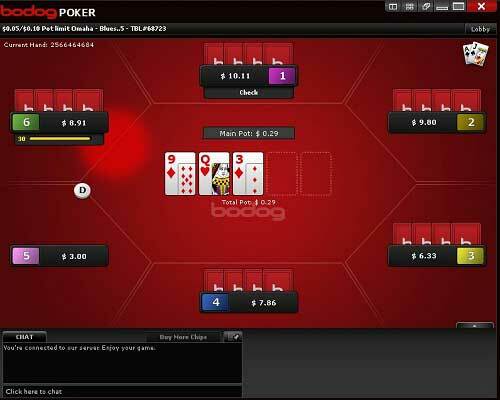 With such an amazing bonus and its soft, anonymous games, Bodog Poker is a highly recommended poker room. Join today and begin clearing this huge bonus!